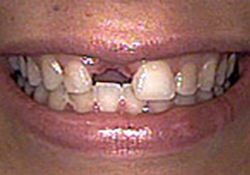 Missing teeth not only detract from your smile, but they can also make you feel uncomfortable. 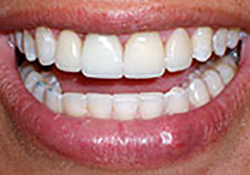 But if you have lost one or more teeth, you should know about dental implants, a technique for restoring the look and feel of your natural teeth. Although they’re a relatively new advance in dentistry, dental implants have proven to be extremely successful and quite popular – dental implants can look and feel just like getting your real teeth back. Whether the tooth you lost was growing from the top or bottom of your mouth, you could say that a dental implant replaces your missing tooth from the root up. The first of the three steps required to replace a lost tooth with dental implants is getting an artificial “anchor” for your missing tooth’s root. Tiny titanium fixtures (screws) are surgically implanted in your jawbone by a gum specialist. Either local or general anesthesia can be used. Very gentle, low-speed drilling protects the bone tissue and promotes healing. Three to nine months later, the living bone in your mouth has bonded permanently with the dental implant, and it’s time to go to the next step. The dentist attaches a post to the dental implant. 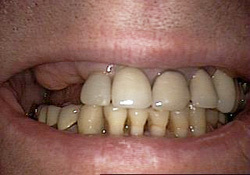 Finally, a crown, bridge or tooth-anchored denture is attached to the post. This replacement tooth will have been carefully shaped to fit in perfectly with the rest of your teeth. When done properly by a skilled cosmetic dentist, the result is a totally natural looking smile, and strong teeth that you can be completely comfortable with. You’ll be able to eat foods you avoided before, and find yourself smiling naturally and speaking more clearly. Contact Cleveland cosmetic dentist Steven P. Marsh, D.D.S. 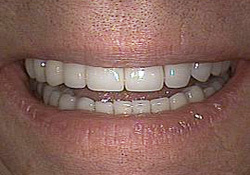 to arrange a consultation about dental implants.